Continuous flow hot water systems (also known as 'tankless', 'instantaneous' and 'on-demand' hot water systems) are small wall-mounted units that heat water as you use it, rather than heating it slowly and storing it as a hot water storage tank does. 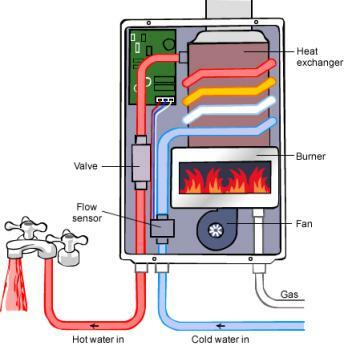 Continuous flow gas hot water systems use a burner and a heat exchange system to provide hot water when it is needed. Continuous flow hot water systems work by pushing cold water through copper piping, and applying heat directly to these pipes. When a hot tap is turned on, a flow sensor triggers and starts the heating. In a continuous flow gas system it triggers a burner and in an electric system it triggers a heating element. The water is heated to the necessary temperature and then fed straight to your tap. When the tap is turned off, the unit shuts off too. As no water is stored, there is no heat loss from a tank or any need to keep a body of water at a consistent temperature. These units only operate when the hot tap is turned on, and provide continuous hot water for as long as the tap is open. Gas-based continuous flow hot water systems are among the most efficient domestic water heaters available. Electric continuous flow systems use less power than their storage tank counterparts, but still produce more greenhouse gas (CO2) than a gas storage system and because they operate on demand, this will often be during peak times. Although they are called ‘instantaneous’ systems, current model continuous flow hot water systems are generally less efficient than tank storage hot water systems in terms of how much water they waste. This is mainly because the water needs to be running for the heater to start, but also because it takes some time for the water to reach its peak temperature. Some water is also wasted while hot water travels from the water heater to the tap – although this problem is common to both tank storage and continuous flow water heaters, and can be somewhat overcome using a cold water diverter. Studies are currently underway to decide if and how to include continuous flow water heaters in the Australian Water Efficiency Labelling and Standards scheme (WELS). Continuous flow systems vary mostly by size and delivery capacity. Larger systems can supply whole households while some smaller systems are designed to heat water for a single outlet. The key difference apart from fuel type is the flow rate in litres per minute (L/min). The higher the flow rating, the more outlets the system can reliably support at once. For example, if you have a 2 L/min kitchen sink outlet being used at the same time as a 4 L/min shower and a 3 L/min washing machine then you will need at least a 9 L/min flow rate system to cope with demand. Anything lower and you will find that the flow subsides and the temperature drops. Continuous flow systems will use either gas or electricity. Smaller units are sometimes incorporated as boosters for solar installations. Access to gas piping (or gas reticulation, as it is often called) is a must for any gas powered system, but continuous flow systems will also need a relatively large diameter pipe to cope with the fuel requirements. 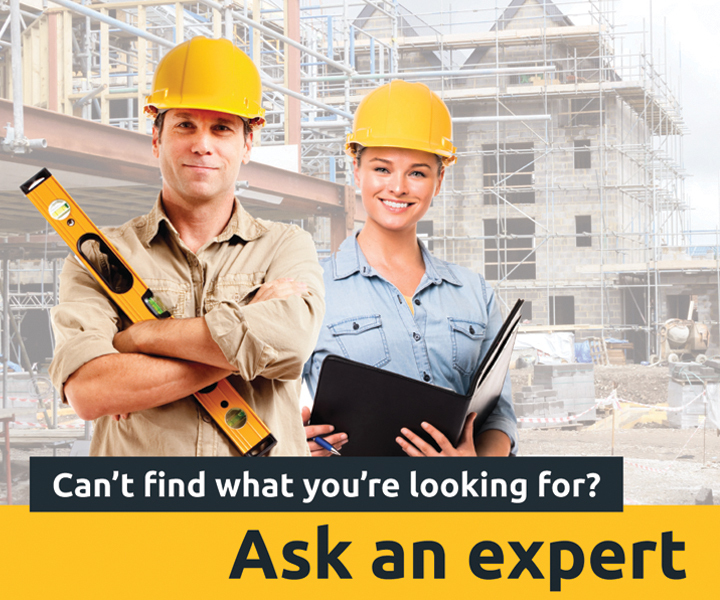 Get a quote from a gas technician to see if your home will need to be modified. Electric systems are usually smaller and suited to one or two outlets. These are generally installed next to the tap they supply, so ensure that power and space are available.